This baby refers to the biggest yacht within the range of sailing yachts by Delphia from Poland. 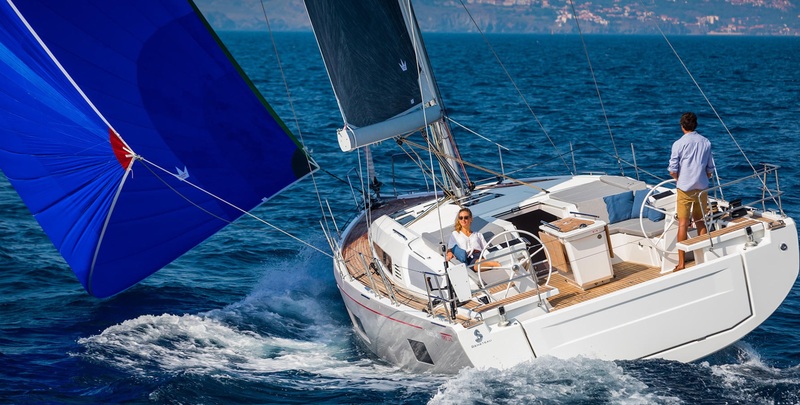 She is designed in order to give you the full experience of sailing without losing control of the vessel at any time, regardless of the force of the ocean. Designed by Polish naval architect Andrzej Skrzat, Delphia 47 maintains outstanding stability in high seas and heavy weather as well as exceptional maneuverability in ports and harbors. Thanks to her twin steering wheels set, self tacking jib and the self furling mainsail she is easy to handle and control even single-handedly. The hull is made using the LIM (Laminate Infusion Method) vacuum infusion technology within certified YSI (Yacht Structural Integrity) integrated yacht structure which makes it extremely strong and unexpectedly light. 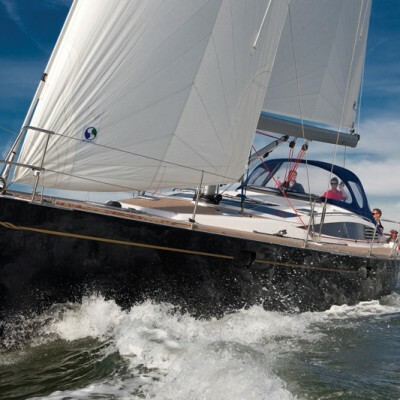 Her overall length amounts to 14.48 m and beam amounts to 4.48 m. Total sailing area is divided between mainsail amounting to 55.1 m² and genoa amounting to 57.1 m², while Delphia 47 is meant to be powered by a 55 HP Volvo Penta D2-55 S-drive engine. The engine chamber is equipped with automatic fire extinguishing system which is very important to emphasize when discussing the safety of the vessel. Her tank capacities amount to 250 l of diesel, 490 l of fresh water while holding tank can hold as much as 141 l of waste waters. In addition with CE category A-12 such features and technical characteristics make Delphia 47 a considerable yacht in every sense. The interior designed by Birgit Schnaase of Schnaase Interior Design is available in five different layouts – with three cabins, two different options of four-cabin yacht and two different options of five cabin yacht. Dephia 47 is therefore equally interesting for both private owners and charter companies. Besides standard equipment this yacht could be additionally customized in line with purchasers’ demands. Both the deck and the interior abound with vast living and working areas which is expected in great extent due to the sizes of the yacht. Still, Delphia 47 attracts with her elegant lines as well as with teak deck fitting as the standard equipment and the mahogany, beech or cherry furniture details inside. The interior is very bright which gives additional sense of the space and gives a special glow to the furniture areas and fabrics. When talking about brightness it is important to mention the Delphia 47 is equipped with 2 large and 10 small opening hatches along with 2 panoramic windows with tinted Plexiglas. This yacht is recommended by the manufacturer and owners for intercontinental, even round the world cruises while her quality is recognized by the experts when nominated the European Yacht of the Year 2009/10. 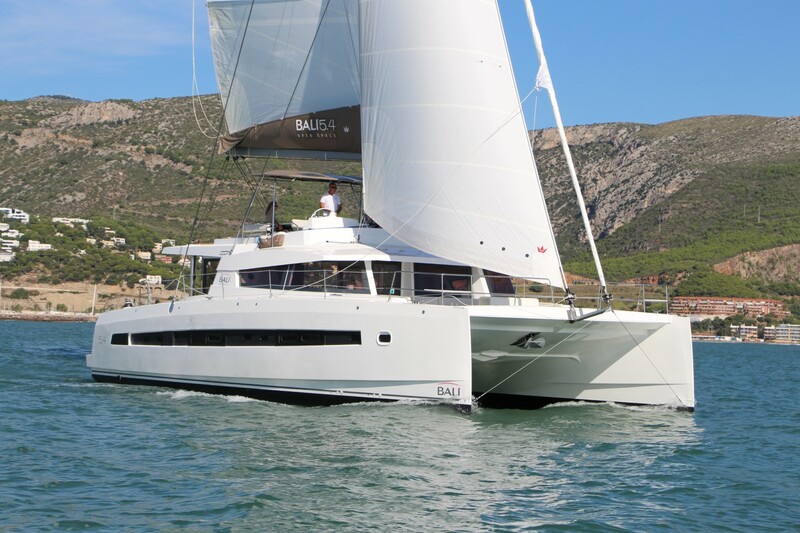 To find the best sailboats at best prices, visit Sailboat Charter Deals.